Children and adolescents are steadily becoming more overweight or obese. Worryingly the 2011-2012 Australian Health Survey results indicate that 26% of children aged 5 – 17 years are overweight or obese. Overweight and childhood obesity are terms used when children have an excessive or abnormal amount of body fat that presents a risk to their health and wellbeing. This abnormal amount of stored fat can happen when the energy children take from food and drinks is greater than the energy they burn up through physical activity, growing and other body processes. Some children are also at greater risk of obesity because of genetic factors that make their bodies gain weight more easily. Overweight or obese children are at an increased risk of becoming overweight or obese adults. Fourteen million Australians are overweight or obese. More than five million Australians are obese (Body Mass Index ≥ 30 kg/m2 ). Please see below for a definition of BMI. If weight gain continues at current trends, by 2025 close to 80% of all Australian adults and a third of all children will be overweight or obese. Obesity has overtaken smoking as the leading cause of premature death and illness in Australia making it the single biggest threat to public health in this country. On the basis of present rates it is predicted that by the time Australian kids reach the age of 20 they will have a shorter life expectancy than earlier generations simply because of obesity and its outcomes. Of great concern is the health consequence to Indigenous Australians, who are today twice as likely as non-Indigenous Australians to be obese and are ranked the fourth-highest population in the world that is likely to suffer from type 2 diabetes. Body Mass Index (BMI) is a weight-for-height measure. It can help decide whether kids and adults are underweight, normal weight, overweight or obese. In general, a child who has a BMI for his age of between the 85th and the 94th percentile is considered overweight. 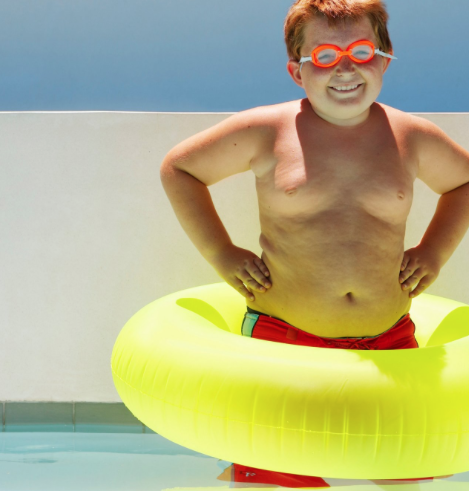 A child who has a BMI for his age in the 95th percentile or above is considered obese. If a child falls into either of these ranges, positive action will need to be taken to prevent multiple potential health problems from occurring in the future. Please note that the BMI scale for children is different from that of adults, so be sure to use a BMI scale designed for children for those between the ages of 2 and 20 years. There are many reasons to care if a child is overweight or obese. In the short term, joint pain and/or breathing problems may develop. These health issues make it harder to keep up with friends. Being overweight or obese can have dire mental, emotional and physical consequences. Australians reporting heart, stroke and vascular diseases aged 15 years and over were much more likely to be classified as overweight or obese than those without heart stroke and vascular disease (65% compared with 51%). Health disorders in children like type 2 diabetes, high blood pressure, asthma, high cholesterol, hypertension and sleep apnea can be directly attributed to childhood obesity. Below is a treatment plan for overweight or obese children and adolescents. These suggestions equip parents with effective steps of helping kids loose the extra weight without making them feel like they are on a diet and will allow for long term improvements in lifestyle choices. When raising a child, ultimately it is the parent(s) responsibility in determining the nutrition that they consume. This role is vitally important in building healthy eating and physical activity habits that will last a lifetime. Most important is to be a positive role model. Children are good learners and they often mimic what they see. Choose healthy foods and active pastimes for yourself. Involve the whole family in building healthy eating and physical activity habits. This benefits everyone and doesn’t single out the child who is overweight. Throughout any process in addressing a child’s weight, be supportive. Set achievable goals, build on that and track their progress. Reward successes with praise and hugs. Be positive. A child needs to know that they are loved, special, and important. Children’s feelings about themselves are often based on how they think their parents and other caregivers feel about them. Listen to your child’s concerns about his or her weight. Overweight children probably know better than anyone else that they have a weight problem. They need support, understanding, and encouragement from caring adults. Plan your shopping list around healthy meals and limit high energy snack foods such as chocolate, potato chips, lollies, soft-drinks, fruit juice and sweet biscuits. Where possible, choose grain based breads and breakfast cereals. Wholegrain products are more filling than more processed white varieties. If unhealthy food choices are not kept in the house your child cannot ask for them. “Treats” can and should be given occasionally. Plan rewards not related to food eg. Buy coloured pencils, skipping rope, a new CD, toy, magazine, piece of clothing, visit a friend, movies, park, zoo or the pool. Children do not need adult sized meals. 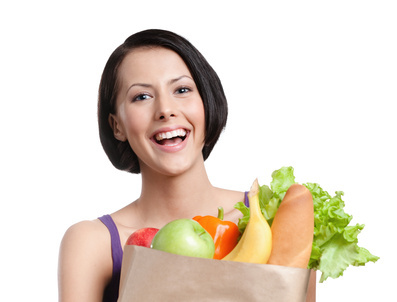 Choose good quality protein foods with adequate serves of vegetables. 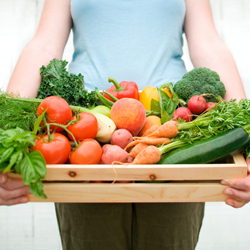 Most children in Australia are not eating the recommended amounts of vegetables. Changing lifestyle habits to achieve a healthy weight isn’t as hard as it may sound. Changing a few “bad” habits and sticking to these changes may be enough to meet the goals for the family. Goals should be small and realistic for long term benefit and involve the whole family. Does the child drink soft drink or too much fruit juice? Swap over to water which is far more hydrating and doesn’t have the sugar content. How much processed food is in the school lunch box? Can you swap some of this for fresh fruits and vegetables? What is the screen time the child is doing everyday? Break this up with activity both inside or outside. Eat breakfast every day. Other than providing energy for the first part of the day, good breakfast choices allow for a feeling of fullness. Good breakfast choices include wholegrain low glycaemic index (GI) carbohydrate foods for energy and lean protein for fullness. Limit high energy snacks and choose only one small packaged snack food for the school lunchboxes each day and a calcium rich dairy choice. Choose low GI carbohydrates (breads, cereals, rice and pastas). As a rule if it was white make it brown! Ideally meals need to be consumed away from distraction such as television and with the family at the table. So the young person doesn’t feel completely cheated; monitor and include treats one to two times per week. This allows a balance between nutrition and a realistic outlook. This technique indicates that this is less about a diet and more about a long term, healthy attitude towards eating. Discipline alongside moderation is key. Eat plenty of vegetables and salad. Encourage your children to eat salad and vegetables for lunch and dinner. This will give a range of nutrients needed for good health. Encourage more fruit (2 serves/day), vegetables (5 serves/day) and nutritious snacks. Eat regular meals including 3 main meals and 2-3 optional snacks per day. Try to not let the child skip meals. Limit takeaway food and high fat snacks, use low fat dairy products, modify recipes. Use low fat cooking (steam, boil, grill, bake) methods. Learn how to read food labels i.e. look for products with (much) less than 10g of fat and sugar per 100g. Encourage the child to eat slowly and chew food well. If the child is constantly “hungry” they may actually be bored and/or thirsty. Find something for them to do and drink a glass of water rather than eat. Helps growth and muscle development. Keeps bones, heart and lungs strong and healthy. Aids in taking the child’s mind off eating. Managing a child’s weight should become part of a healthy lifestyle for the whole family. Physical activity is an important part of this; it can be fun and make your child feel good! Set a good example. Show your child that you are physically active and that you have fun doing it. Spend at least 60 minutes outside every day (playing or being physically active). This doesn’t have to be done all at once. Several short 10- or even 5-minute periods of activity throughout the day are just as good. If your children are not used to being active, encourage them to start with what they can do and build up to 60 minutes throughout the day. Never belittle or pressure a child to lose weight! Spending no more than two hours using electronic media (eg. tv, computer, video games). Participation in at least one hour of physical activity per day. Physical activity can be lifestyle or organised exercise. See below. Both forms of exercise promote a healthy weight; however, ‘lifestyle’ exercise is usually easier to stick to long term. Remember you don’t need to join a gym or buy expensive equipment to have fun and make exercise a part of your day! Be active together as a family. Where the child is old enough designate them to perform active chores such as making the beds, sweeping floors, raking leaves, or vacuuming. Plan active outings such as a walk or cycle through a local park. Walk to and from school if possible. Even park the car a small distance from the school gate and walk with them to school. You’ll avoid the mad school parking this way as well! Spend some time doing enjoyable activities with your children, perhaps make weekends your active time together as a family. Swimming (always under adult supervision – especially if the child is not confident in water). Playing weekend sports (netball, football, cricket, tennis). Aerobics, Gymnastics, Swimming squad, Dancing, Martial Arts. 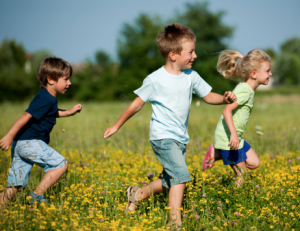 If a child feels uncomfortable participating in activities like sports, help them to find physical activities that are fun and not competitive, such as dancing to music, playing tag, jumping rope, or riding a bike. Kids spend a lot of time sitting down watching TV, playing video games, or using the computer or hand-held devices like mobile phones and tablets. Limit screen time to no more than 2 hours per day. Help your child find fun things to do like acting out favorite books or stories, or doing a family art project. Encourage your child to get up and move during TV commercials and discourage snacking when sitting in front of a screen. Coming to the realisation that a child or adolescent needs to lose weight can be confronting for a parent. With discipline, motivation and support, healthy weight maintenance can be achieved. By addressing bad habits, increasing physical activity to 60 minutes/ day and introducing simple dietary changes it is possible. Remember that every child is different and what works for one child may not necessarily work for another. Never belittle or pressure a child to lose weight not too lose it quickly, slow and steady is far more preferable and allows for more long term lifestyle changes to occur. Introducing these changes can benefit the whole family not just the child, leading to a happier more fulfilled life for everybody. So Your Kids Play Sport. What do You Feed Them? Fat Shaming – Bullying or a Necessary Wake Up Call?